Item Number: 66-12-32 19497 Actual Weight: 2 lbs. 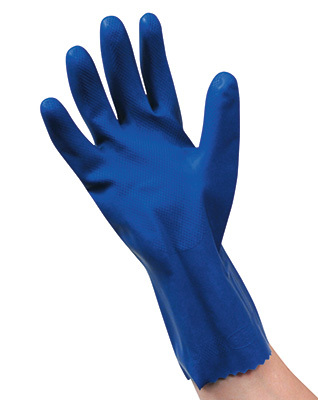 Premium PosiGrip latex gloves are chemical, puncture and tear resistant. Embossed palm and fingers provide better grip control. Gloves have better protection and strength and slip on easily without powder. Meets FDA and USDA specifications for food contact.